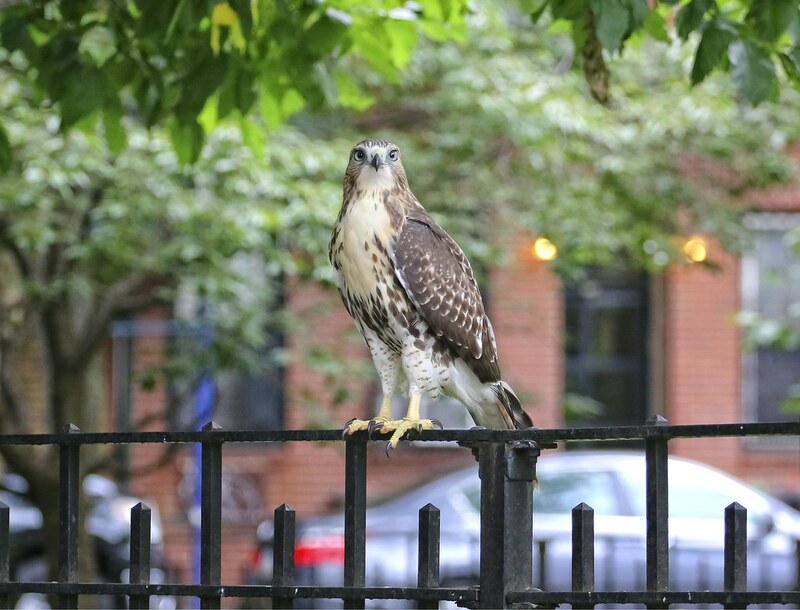 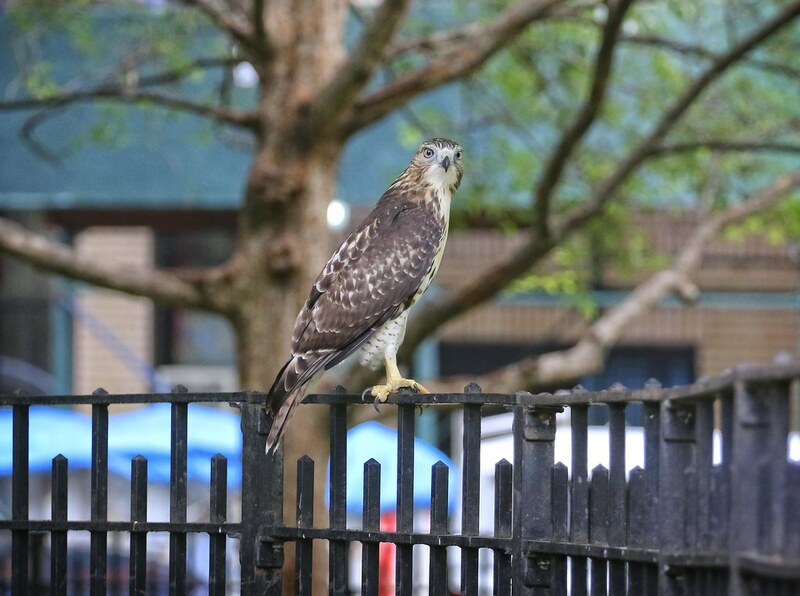 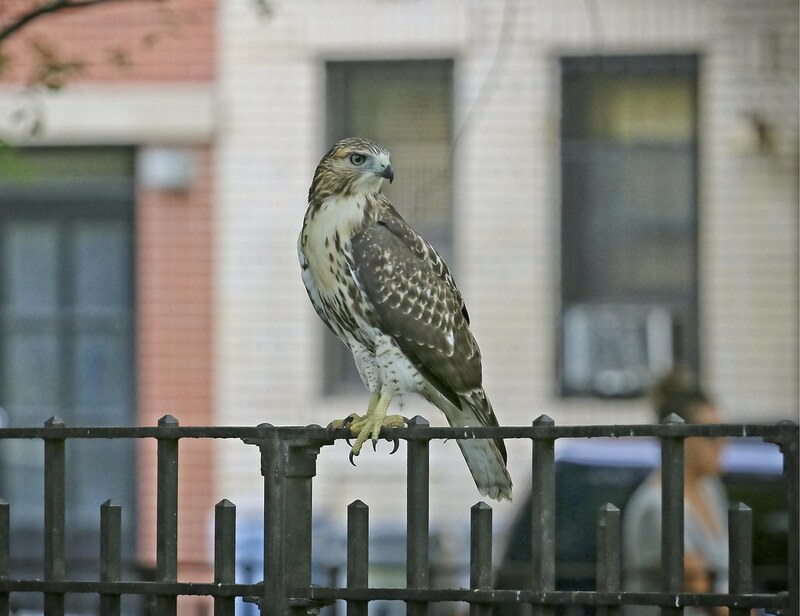 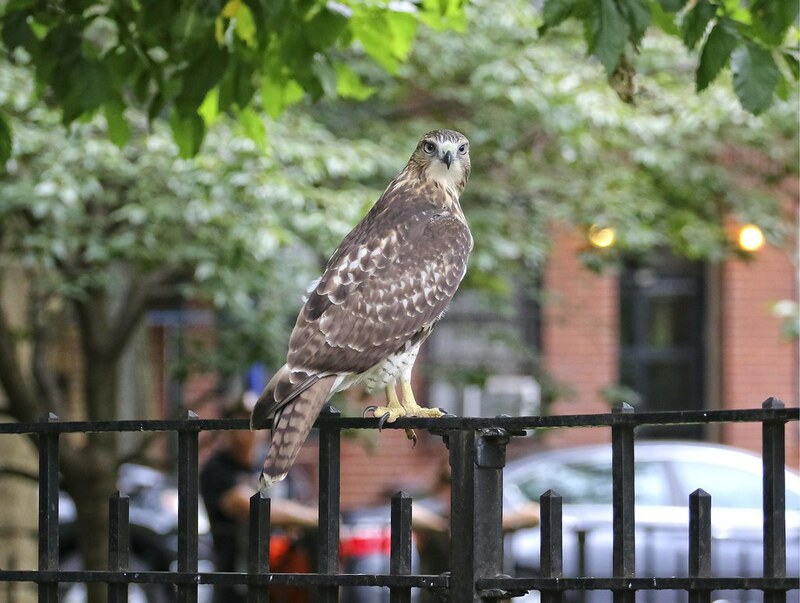 A unique feature of Tompkins Square is its fences. 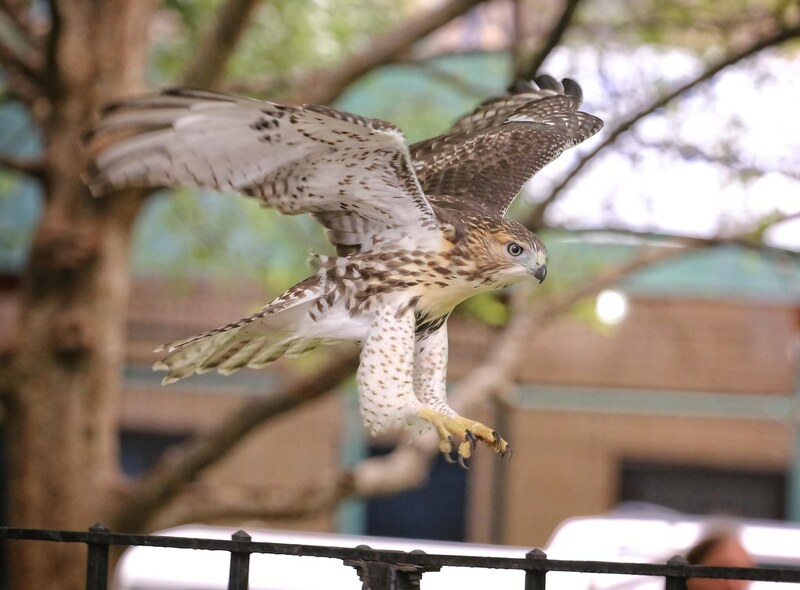 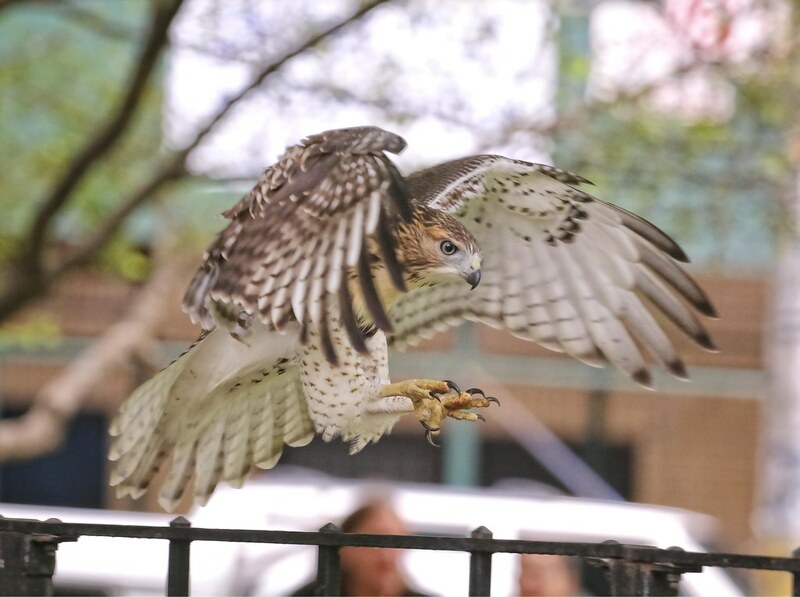 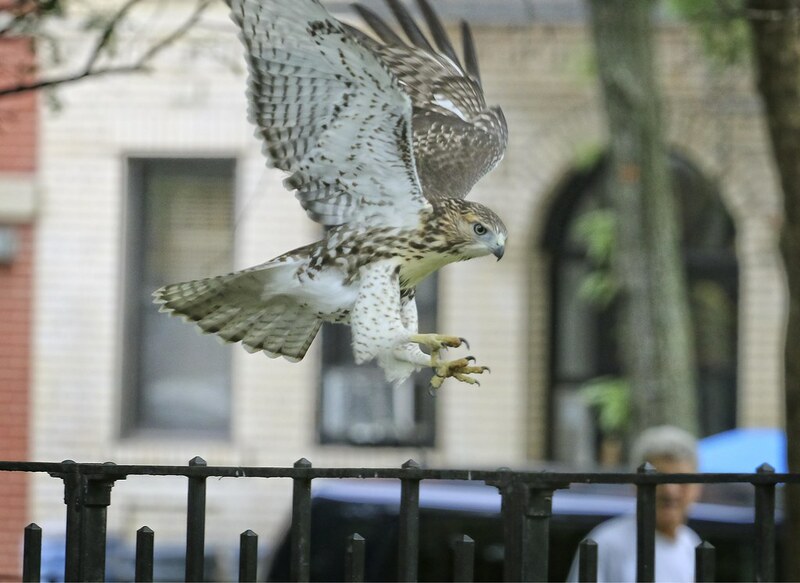 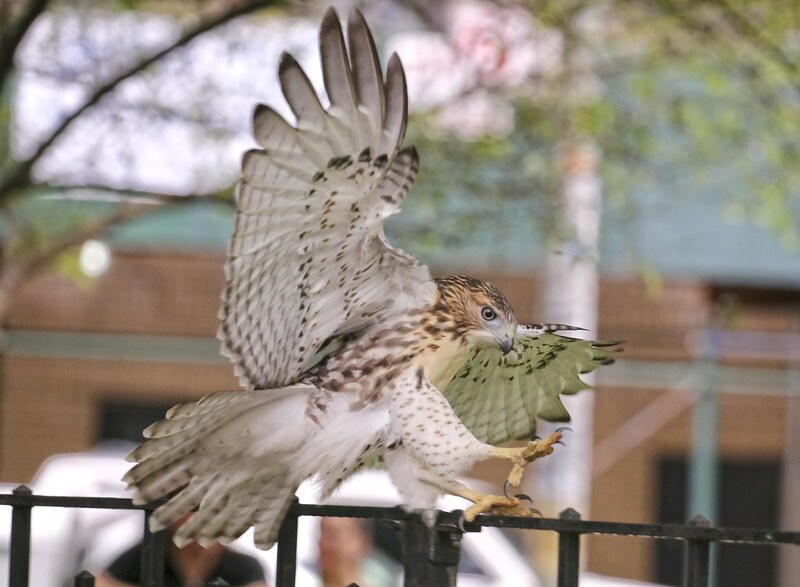 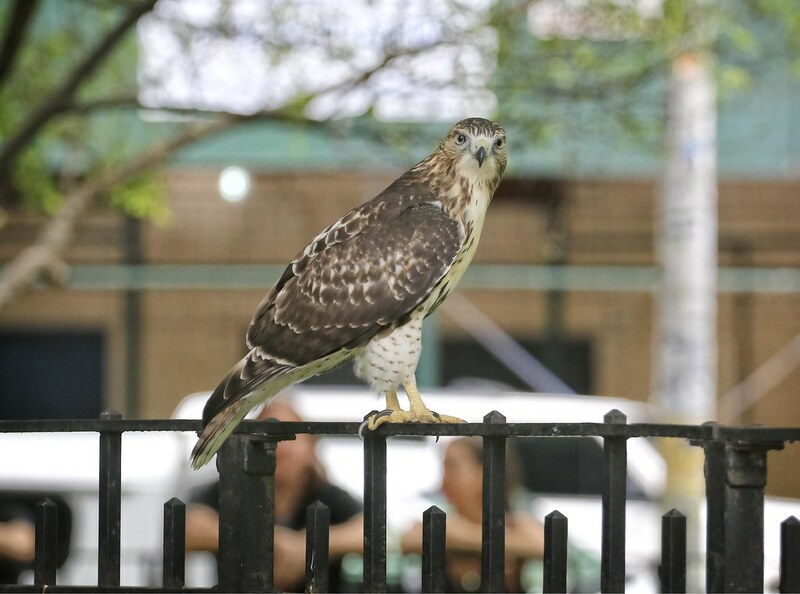 They make perfect perches for the young hawks as they learn to pounce on prey on the ground. 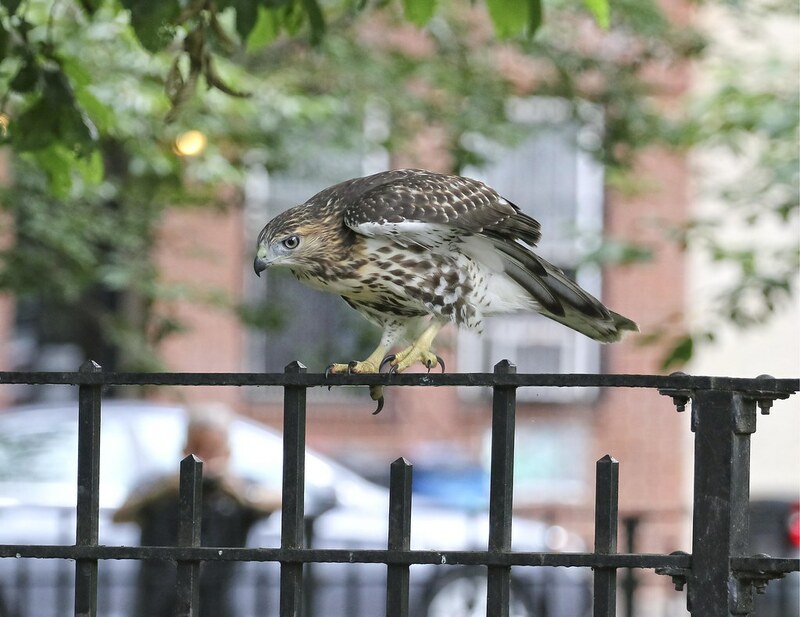 I found one fledgling practicing its balancing skills on a fence this last Sunday. 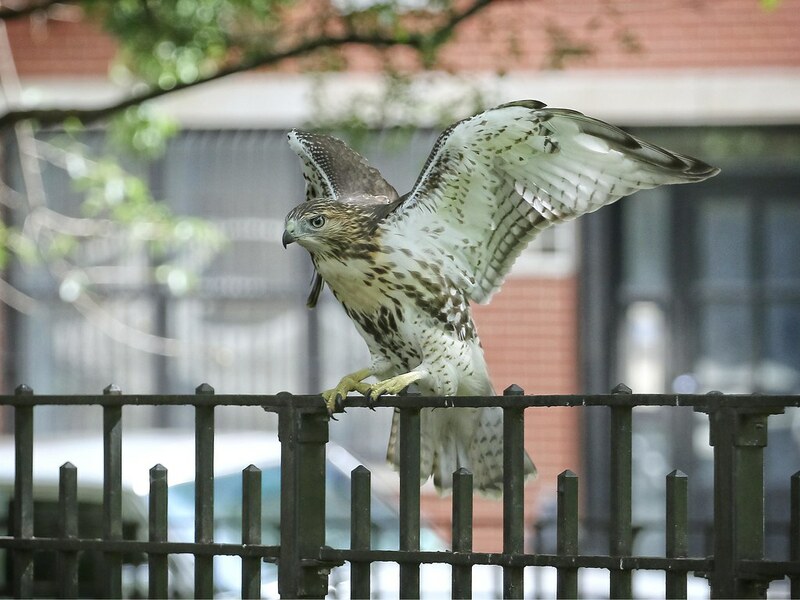 It caught a rodent in the grass, but lost it, so it kept returning to the fence to practice its dash-n-grab moves.